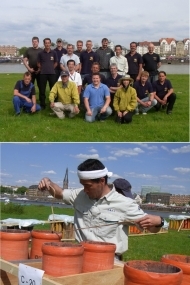 "Japan Tag" is one of the biggest event outside Japan to introduce the Japanese culture held in Dusseldorf, Germany. 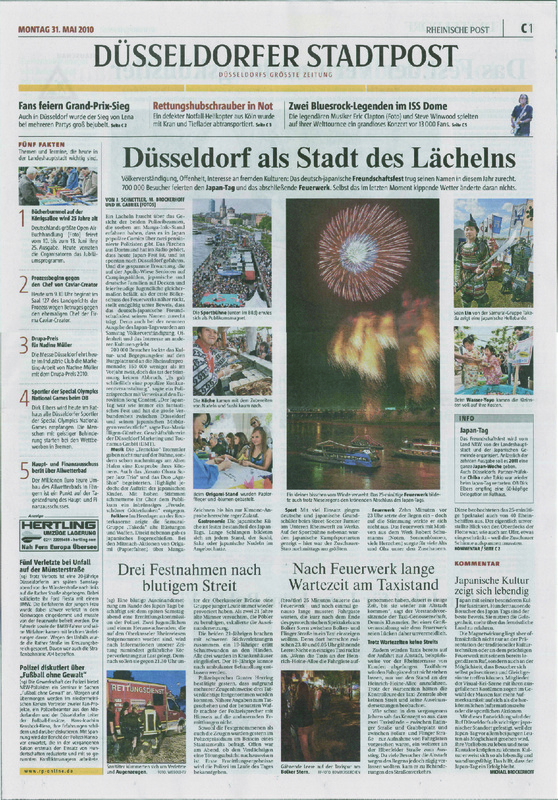 Our Japanese firework have been shown at the finale attracting 1,000,000 people gathered from all over Germany, Netherlands etc. Hokuriku Kako was honored to show the Japanese fireworks outside Japan, introducing our art of fire. 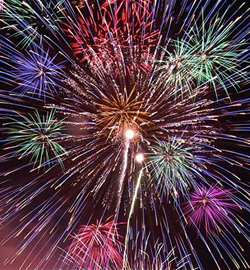 Even though people has different culture & background, everyone can share the same wonderful moment together, with the beauty of Japanese fireworks. We could make it in Dusseldorf !!! celebrating the 150th anniversary of the good relationship between Germany & Japan. 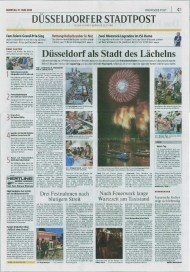 Our fireworks show has introduced in the local German newspaper.